Reports indicate that telecommunications giant AT&T is planning to split its operations in South America from the main business via an IPO which could net the core business of the carrier billions of dollars. Already the No. 2 wireless carrier in the United States has filed documents in readiness for the IPO in which a minority interest in DirecTV South America will be offloaded before mid this year. For months AT&T had been seeking a buyer for its satellite TV operations in Latin America but sources indicate that the wireless carrier was unsuccessful. Some financial analysts seemed to concur. “We expected that AT&T would sell it (DirecTV Latin America stake) rather than publicly list it, this could presumably mean they weren’t able to find a buyer,” said Craig Moffett an analyst at MoffettNathanson. The number of subscribers that AT&T’s Latin American TV subsidiary possesses runs into the millions after the telecommunications giant acquired DirecTV three years ago. This is not only in South America but also in the Caribbean. Additionally AT&T also owns a 93% interest in satellite provider Sky Brazil. In 2017 Sky Brazil boasted of 13.6 million connections and annual revenues of close to $5.5 billion. Per sources the initial public offering could generate approximately $10 billion for AT&T. 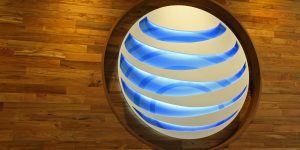 Assets that AT&T will not sell include the wireless carrier’s satellite television and cellphone operations in Mexico. The U.S. neighbor to the south is considered a long-term priority by the telecommunications giant, a commitment that other South American markets do not enjoy. AT&T’s business in Brazil, which is the biggest satellite market for the wireless carrier in Latin America, was already struggling due to the economic recession there and political scandals have only worsened the situation resulting in a weakened currency. At the time of acquiring DirecTV AT&T was optimistic about South America’s most populous country but the economic and political problems being experienced there have shifted the telecommunication giant’s focus to Mexico. The money that AT&T will generate from the IPO are expected to assist in funding the telecommunication giant’s pending acquisition of Time Warner. Last year AT&T also conducted a bond sale where over $20 billion was raised giving the wireless carrier enough liquidity. In the Latin America market customer growth has stagnated in recent years but in Q4 there were signs that an upward trajectory is on course. The situation has been the same in the United States. In 2017 DirecTV lost more than half a million satellite TV subscribers.